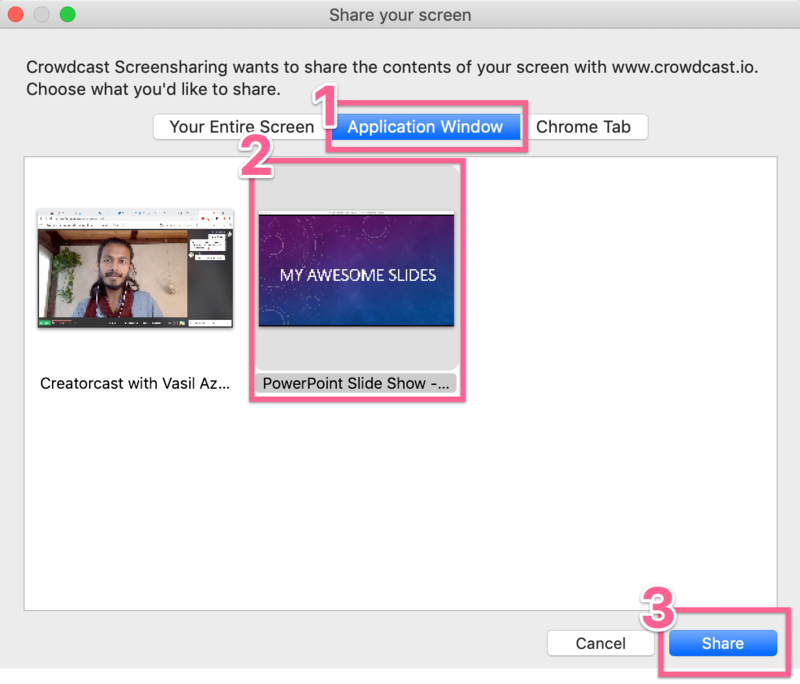 If you're using Google Chrome, follow these steps to share your slides in a way that you can see both the crowdcast chat and your slides at the same time. Before we get started, you'll need to install the Crowdcast Screen Sharing extension from here. Firefox unfortunately currently only lets you share in full-screen so if you're using Firefox please download Chrome to get these added features. 1. 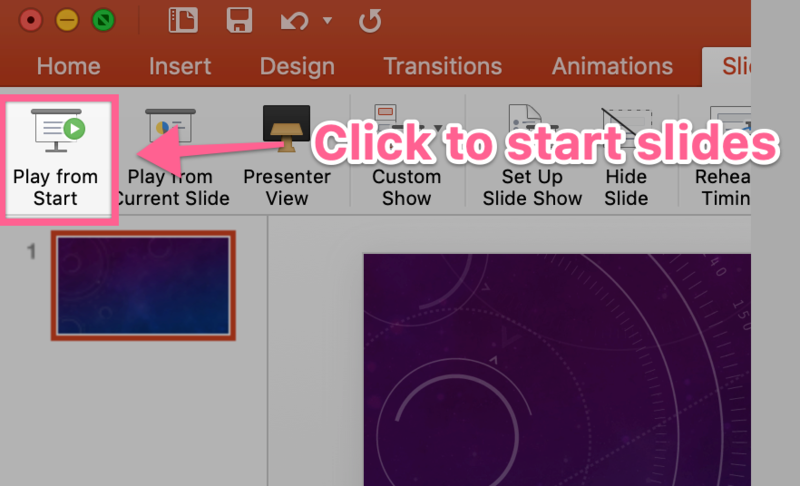 Open up your Powerpoint presentation and click Set Up Slide Show in the Slide Show menu. 2. Select Browsed by an individual (window), then hit OK to save. 3. 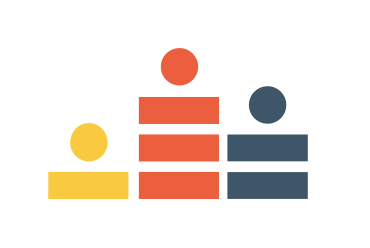 Start your presentation and enter into presenter (slide show) mode. 4. Now go back to your crowdcast, hover over your video and select Share screen. 5. 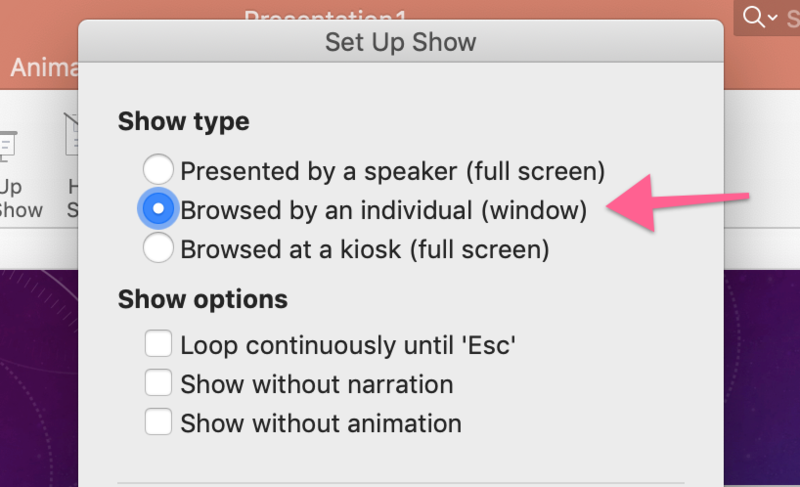 Then click Application Window and then select your PowerPoint Window. 6. That's it! Now you can see your slides and still keep an eye on the chat and Q&A to respond to comments and engage the audience in realtime.